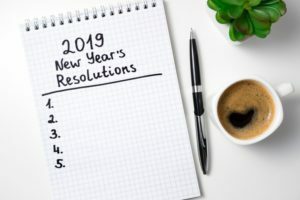 When most people set their new year’s resolutions, they focus on things like losing weight, traveling, or spending more time with their loved ones. Those are all fantastic goals, but when you’re jotting down the things you want to accomplish in 2019, you shouldn’t forget to include your smile. Taking care of your oral health can have a positive effect on other aspects of your life and give you added confidence. That’s why you should put regular dental visits, along with other smile-friendly changes, on your list of resolutions for the new year. Whether you’re with family, friends, or even at work, the holiday season seems to have delicious snacks and sweets around every corner. These sugar-filled treats taste great, but they can cause damage to your oral health. During this time of year, your brushing and flossing routine may even get thrown off from traveling and a busy schedule, but it’s actually the most important time to practice good oral healthcare. 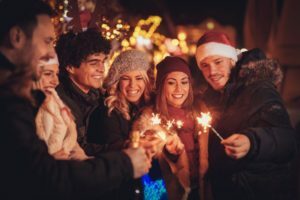 Thankfully, your dentist has 5 easy tips on how to keep your mouth healthy during the holidays. 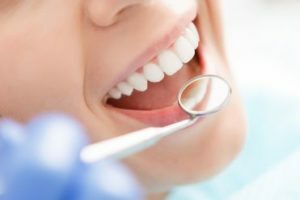 What To Expect When Seeing a New Dentist in Falls Church For the First Time! Has it been a while since your last checkup? Or are you simply looking for a new dentist in Falls Church and wondering what your first visit will be like? If so, you’ve come to the right place! If you’ve seen different dentists over the years, you know that no two are exactly alike. But one thing you can be sure of at Purple Plum Dentistry is that you’ll get gentle, highly-skilled and compassionate care at each and every visit. And you won’t have to worry about being treated like a number the way you might at a “cookie cutter” office. 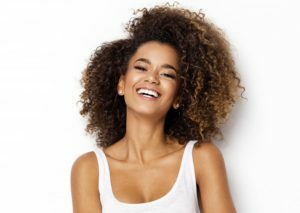 If you’d like to know more about what sets Purple Plum Dentistry apart as well as what your first visit will include, keep reading below! Comments Off on What To Expect When Seeing a New Dentist in Falls Church For the First Time!